dressed up like a lady: Print Your Own Galaxy Cat Valentines! 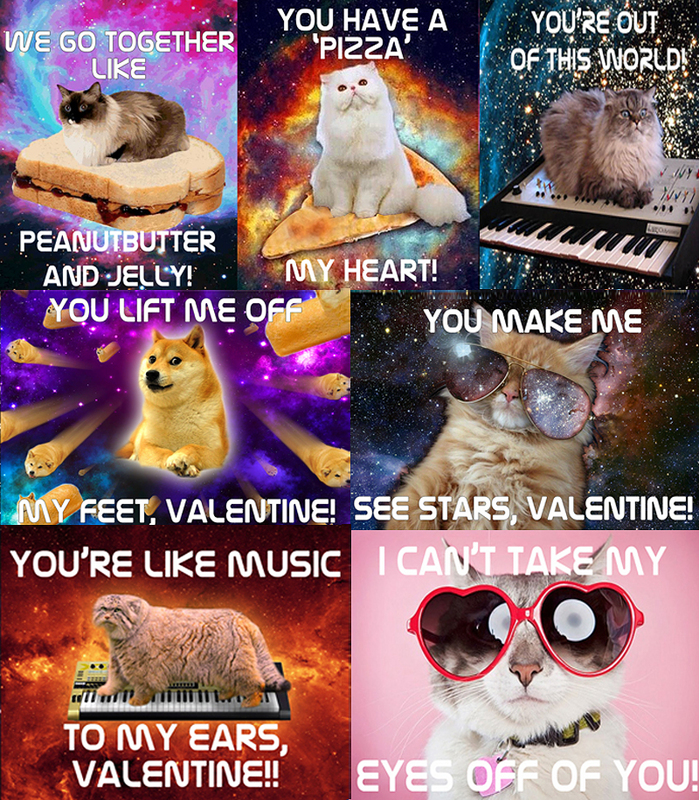 Print Your Own Galaxy Cat Valentines! 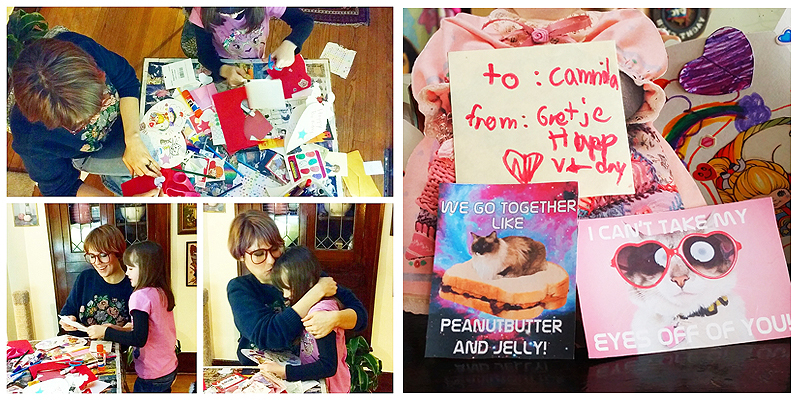 Gbear wanted cats and dogs on the Valentines she was going to pass out to her classmates this year. We Googled a few ideas and she soon became very taken with the insanity of galaxy cats -- that beloved meme in which cats sit on top of random objects (usually food) in space. 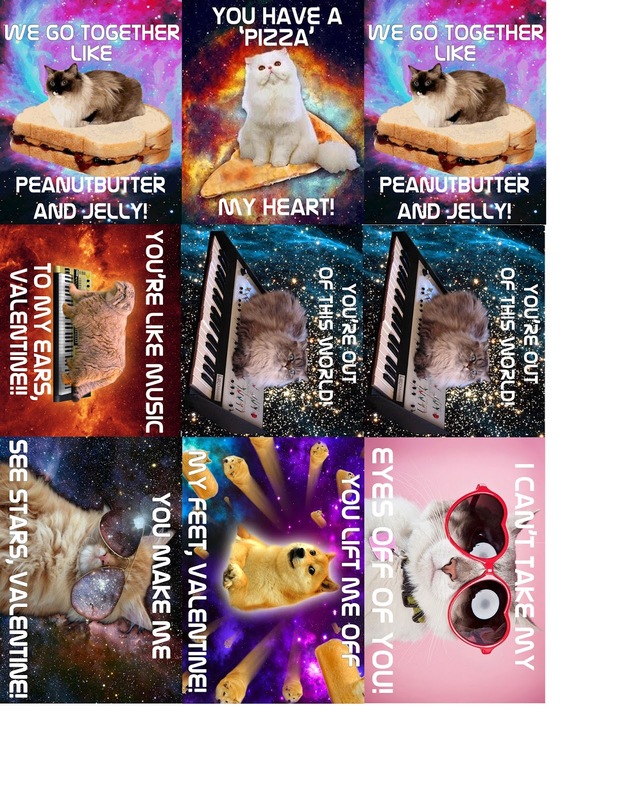 So we grabbed a handful (plus one doge and a random cat in sunglasses) and added some V-day messages in Photoshop. High-res, print-configured versions of these are below, so you can print your own, just click 'Read More'! As always, I'm not quite a pro, so you'll have to snip off some excess paper on the edges with scissors or a paper cutter. 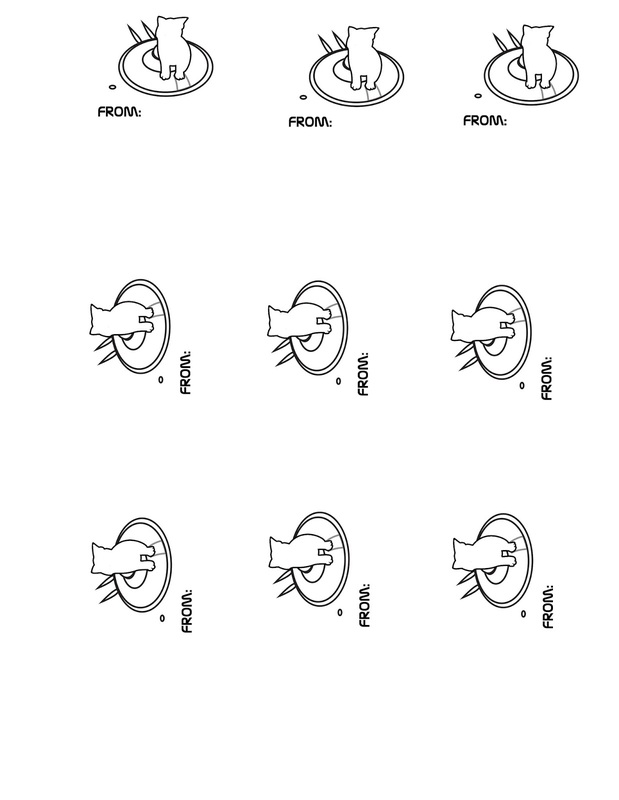 Remember to do a test sheet in your printer to figure out how to reload your paper, so you can print the backs too! Happy V-day from the Collars! Those are amaze. Im a new mom and seeing so many Vday posts I just cant wait til my little girl is n school and I can do all these fun crafts with her :) happy valentines day to you and your fam!